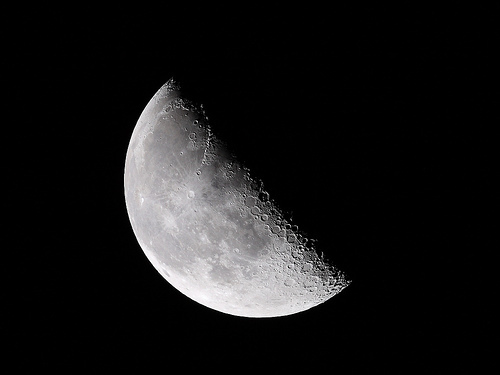 Fourth Quarter Moon. Image from illuminated Journey. Lady Moon is in Gemini for this moon phase. Gemini: the active, masculine, Air sign. This is not only a good moon phase in which to continue releasing the old in preparation for the new that arrives with the New Moon phase, it is also a good moon phase for communicating and dealing with the public. You would do well to remember that Pluto is retrograde until September 16, 2011; a Pluto retrograde prompts each of us to take care of unfinished business, to finalize whatever we said we could let wait until later. With a Pluto retrograde, “later” is “now." Use caraway seed, lavender, and spearmint in your menu; they are connected to Gemini and will facilitate your communications. Remember to eat enough to maintain energy for your rituals but not so much that you feel heavy. If you choose to celebrate on Wednesday, May 25, incorporate the color purple into your dress and/or decorations. Lavender, whether as a color or an herb or a scent, would be a way to easily bring purple into your plan. Mixed colors are also appropriate, but purple is the most important. Call on Jupiter (the planet of expansion) energy as well as Mercury (the messenger of the gods). If you choose to celebrate on Thursday, May 26, the appropriate color to emphasize is blue and you should also call on Jupiter energy. Blue represents Water, the passive feminine element. The color blue also represents healing, nurturing, loving, blessing energies and can lend a calming element to Jupiter’s sometimes overwhelming enthusiasm. If you choose to celebrate on Friday, May 27, the appropriate color to emphasize is green. Call upon the planet Venus and wear copper jewelry. Green represents Earth, the active feminine element. This color also represents growth, prosperity, success, abundance, and romance (in medieval times, green was considered the color of romantic love). Drinking some spearmint tea during your celebration will easily involve the color green into your activities. The folk song lyrics “Lavender’s blue, dilly-dilly, Lavender’s green” prompt the idea that sprigs of lavender would be an appropriate addition to your decor, whatever the day you choose for your celebration. As with any ritual in the waning phases of the moon, your energies would be best used in activities relevant to: endings, resolution, final outcomes, conscious movement, clearing, releasing, harvesting, end, rebirth, preparation, rest. Releasing the old opens the door to the new, so let’s be about it!